SEO (Search Engine Optimization) in a nutshell, is the ongoing process of “tweaking” your code, site, and/or content to capture an advantage in search results. Just like a casino, you can significantly stack the odds in your favor. When potential consumers are searching for your goods or services, ranking high in search engine results, will give you the edge over your competitors! Nowadays, building an attractive website is a simple task. Wix, Godaddy, and others offer inexpensive and expansive tools, to help business owners create a site with minimal effort. Unfortunately, a good-looking site does not translate into positive ranking results. Preferred placement in search requires work, time, and strategy. Just because you have built a cool website, does not necessarily mean that you will show up in Google. Having said that, there are steps you can take that will increase the opportunity to rank. Search engines use algorithms to determine which businesses/web pages are displayed when surfers type keywords or phrases. First, make sure to include important words and phrases in the title pages. 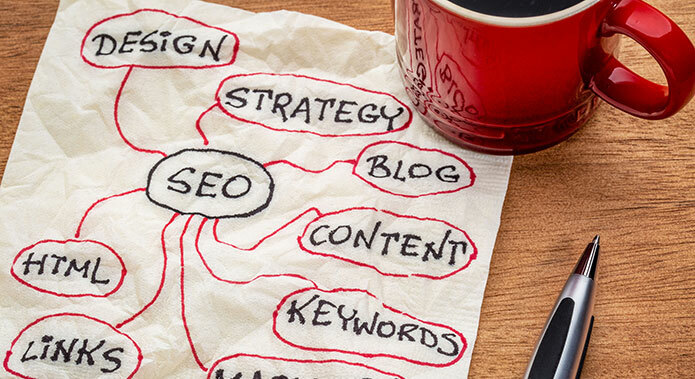 Use similar keywords throughout your content to further highlight the substance of your posts. Be careful to not over optimize your content, as this will negatively impact your efforts to rank in Google and other search engines. Second, make sure your SEO title is clear and your meta descriptions are relevant. A common thread for lackluster results include poor meta descriptions. Third, choose one focus keyword for the page you are looking to rank, and write quality content to support your proposition. In summary, solid SEO is a key factor in making your site more attractive to search engines, help you get more customers visiting your site, and of-course catapult your search ranking results. If you are looking for a SEO consultant or an SEO agency that can help your business show up in search, give us a call. We offer free consultations and are more than happy to talk with you.